Each Tuesday, our Food Pantry provides food to many families in our community. The annual Arundel Christian Church Christmas Craft & Vendor Fair helps raise funds to purchase food for the pantry so our team can stock up for the long winter months. 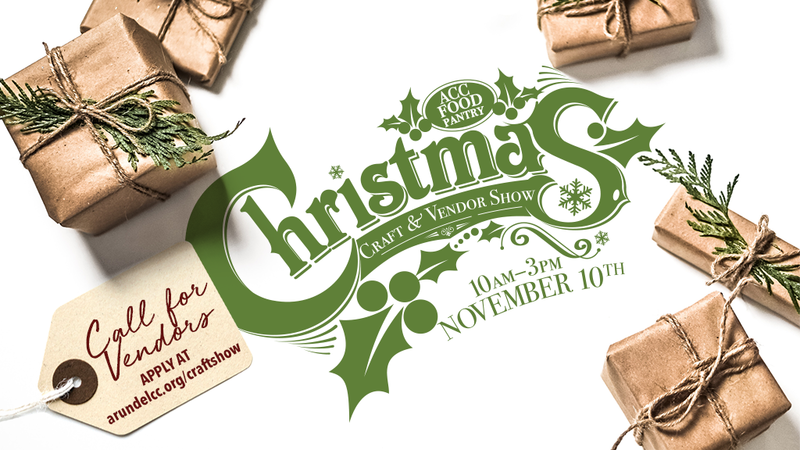 The Christmas Craft & Vendor Fair is free for the community to attend. We’ll have two floors of tables for you to shop, grab a snack, and support our local crafters and vendors. As you enter the show, the Food Pantry will also be collecting canned goods and non-perishable food items at the door. If you’d like to participate as a vendor, please see details below. To spread the love of Jesus Christ, by touching the hearts of souls of those in need.